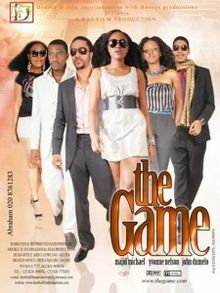 ‘The Game’ tells a complex story of, love, affection, greed, betrayal, deceit, corruption, ambition, revenge and complete malice. It opens with the story of two brothers, Teddy (Majid Michel) and Bill (Johannes Maier).Their father left behind a lot of money and a huge business empire for them to share. But as greed and betrayal sets in, Teddy schemes different plans to have everything for himself. Teddy decides to take the life of his brother. After a futile assassination attempt fails, he decided to get married to Shienel (Yvonne Nelson) to push his plans through. But how is he going to achieve his evil dream with marriage? Does Shienel also have her own plans?